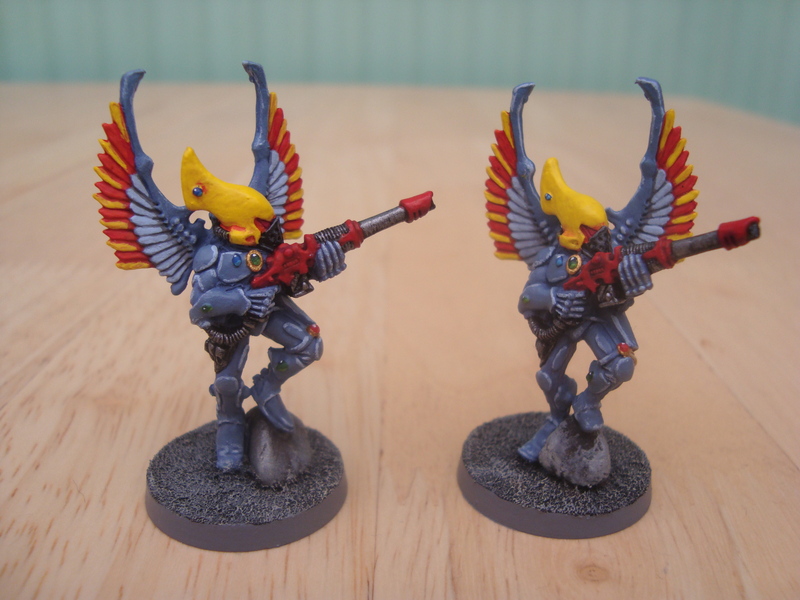 These are my all metal 2nd ed Swooping Hawks. 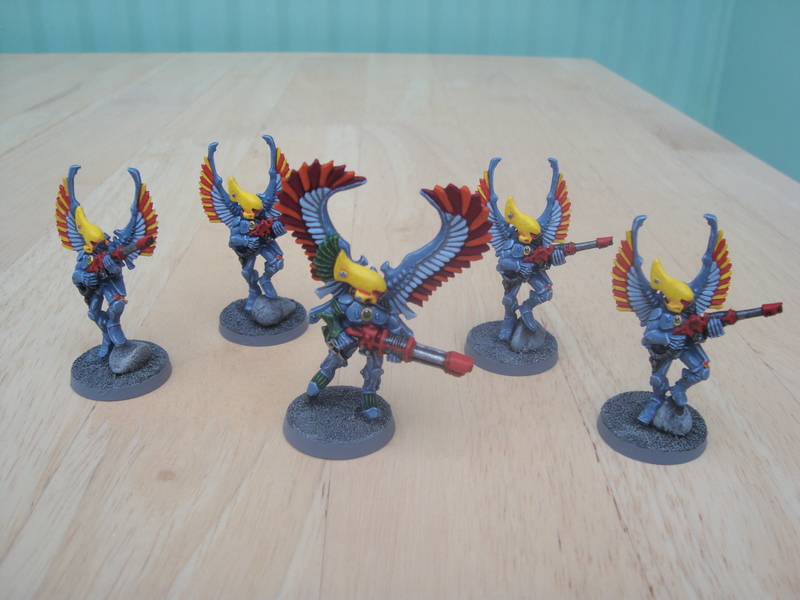 I’ve got three others that have been painted for years, but I’ve only just got these 5 completed. 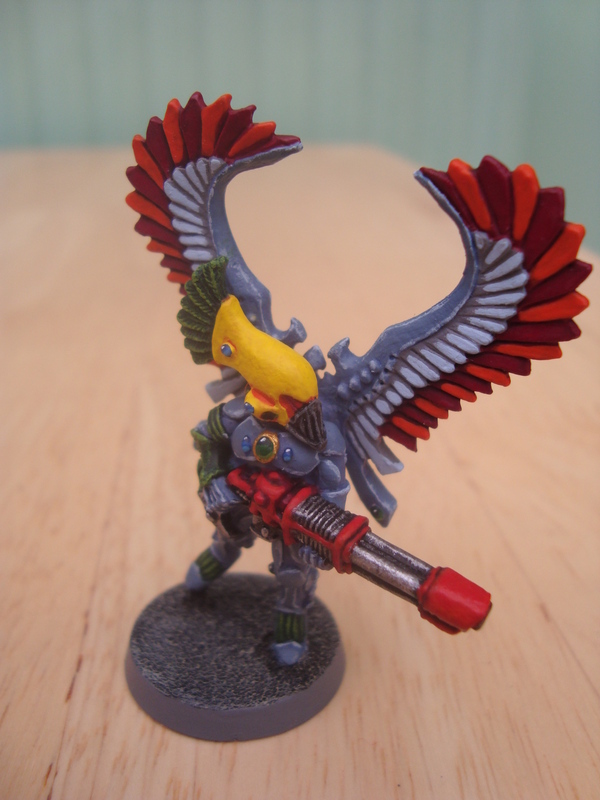 I’ve found, since taking these photos a few days ago, I’m liking these Hawks more and more. I think they might be my faves after the Avatar. 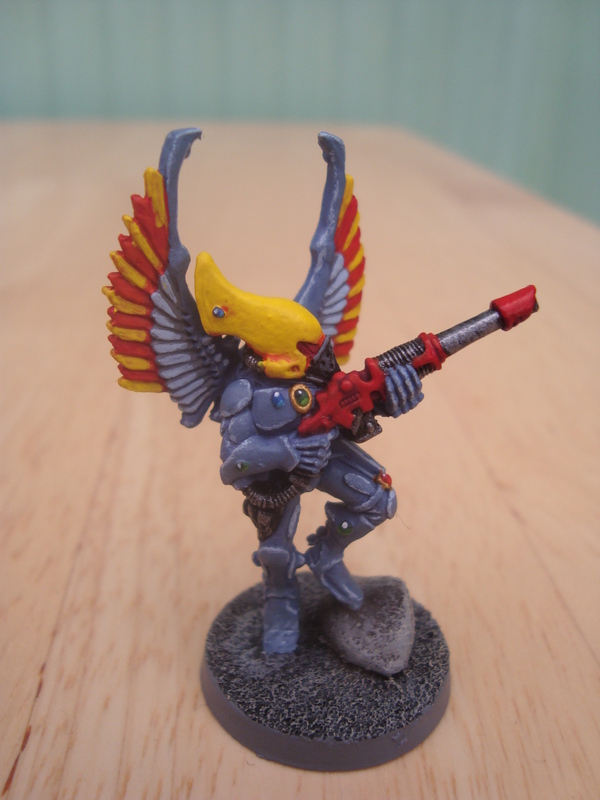 I particularly like the oversized wings and gun on the Exarch. 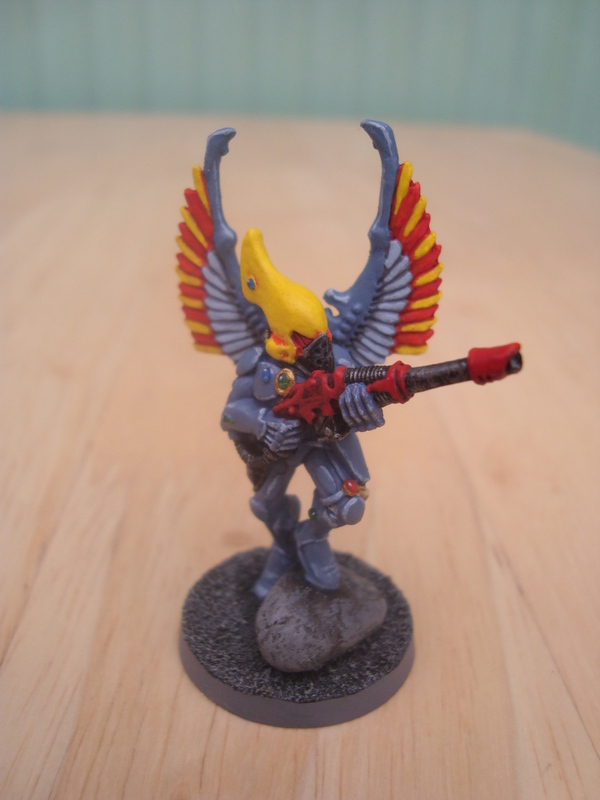 These are my Eldar Fire Dragons. 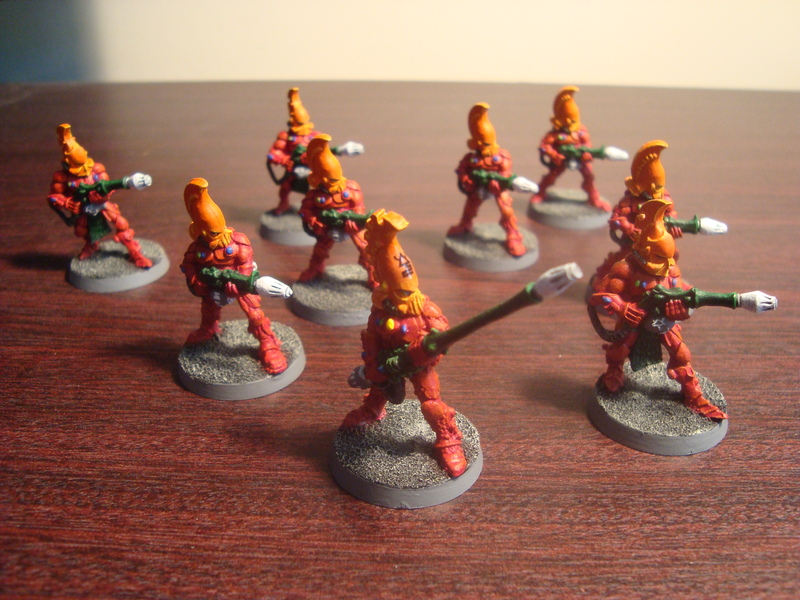 A squad of 9 melta weapons seems a bit over the top, but they can be fun! I actually finished these ages ago, but there’s always been something else for me to post! 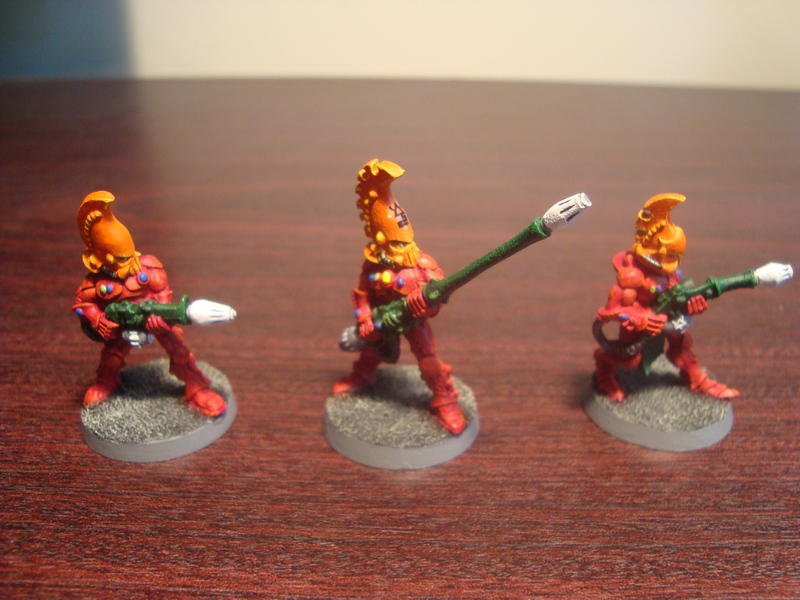 These are old skool 2nd/3rd ed metal ‘mono-pose’ models, which is why largely they all look the same!